The Boynton Beach area’s earliest inhabitants went uncounted – the pre-Columbian Indians followed by the Seminole Indians. In the 1880s, settlers from the Bahamas occupied some of the land along the Lake Worth’s south shore, growing tomatoes and fishing. They did not lay claim to the lands, and were soon supplanted by the settlers from the North who had come to farm and build the Boynton Hotel. In 1900, the US Census found 91 people living in the vicinity of Boynton, in what was officially designated as Precinct 6 of Dade County, Fort Lauderdale. 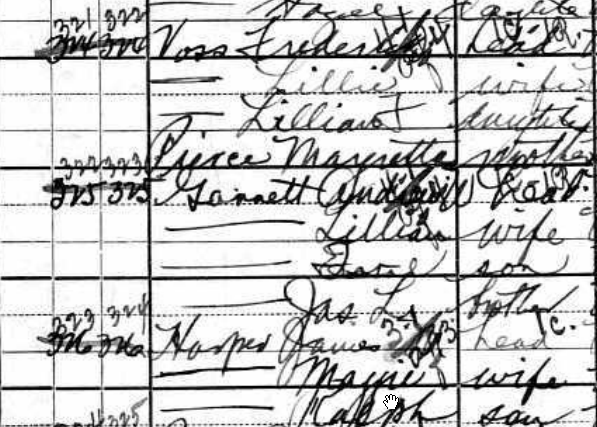 We know its our earliest Boynton citizens based on the names that appeared on the two census sheets, such as Margretta Pierce living in the household of Frederick Voss. Boynton was a named settlement, so it is unclear why they included it the Fort Lauderdale tally. 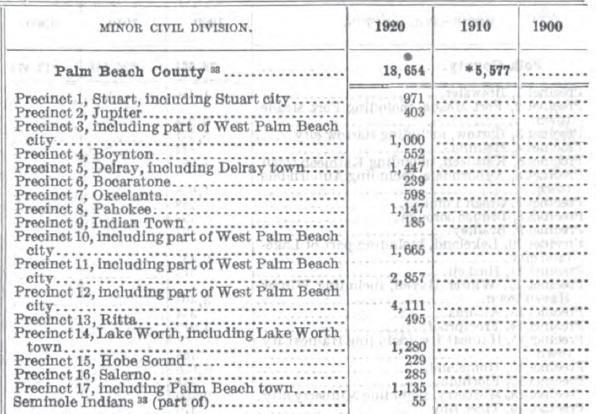 On the 1910 and 1920 US Census counts, Boynton appears as Precinct 4 of Palm Beach County, a “minor civil division” given that it was not yet incorporated as a town. The precinct covered Boynton, Hypoluxo and Ocean Ridge, and the names on the census sheets confirm that. The population drop from 1910 to 1920 can probably be attributed to these changing precinct lines. 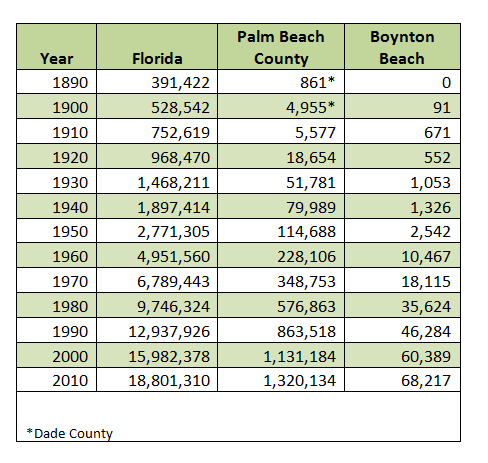 In the 1930 US Census and all afterward, Boynton Beach appears as an incorporated town, so the census counts follow the established city limits as the city expanded through the years. Today Boynton Beach is Palm Beach County’s fourth largest city with a population of 68,217 in the 2010 census.